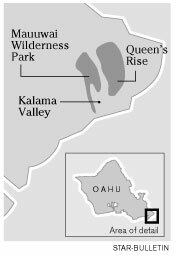 QRM will make its second attempt to get the approval of the Hawaii Kai Neighborhood Board for a new recreational complex on a mountainside above the Hawaii Kai Golf Course. Proponents of keeping Oahu's Ka Iwi coast wild say they will pack a meeting tomorrow to hear a developer's revised pitch to build 180 vacation "cabins" there. 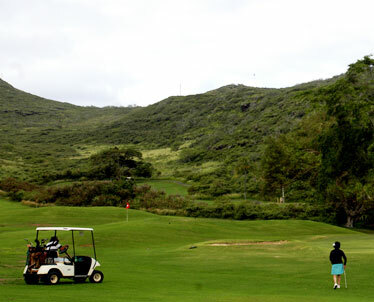 Attorney William McCorriston will represent developer QRM in its second attempt to get the approval of the Hawaii Kai Neighborhood Board for a new recreational complex on a mountainside above the Hawaii Kai Golf Course. The developer's first attempt, in June 2006, resulted in the board's unanimous rejection of the project, which would have put clusters of 800-square-foot cabins on the hillside along with a clubhouse, pool and other amenities. About 200 people attended that meeting, most in opposition. The city's Department of Planning and Permitting later rejected QRM's request for the necessary minor conditional-use permit, saying the proposal did not meet requirements under the land's preservation zoning. Neighborhood Board Chairman Greg Knudsen said he does not like new plans that show two-story, townhouselike buildings any better. He said he expects a big turnout for the board's special meeting at 7 p.m. at Hahaione Elementary School, 595 Pepeekeo St.
Knudsen said concern extends "beyond the neighborhood board to the wider community and environmental organizations." Livable Hawaii Kai Hui, the Save Sandy Beach coalition and the Sierra Club all objected to the previous proposal, saying it went against the decades-long struggle to preserve the Ka Iwi Coast from development. The parcels are across Kalanianaole Highway from shoreline land preserved from development by the Save Sandy Beach movement, with state, city and former landowner Kamehameha Schools involvement. "We don't need a new industry called tourism," said Rep. Gene Ward (R, Hawaii Kai), who has lived there since 1978. "We are a residential community. That's the way it was built." He added, "Economically, it's not a place for cabins, and aesthetically, it would look terrible. It's something where I think the community is going to respond, with hundreds of people showing up." Nine of 10 Hawaii Kai residents think the area already is overdeveloped, he said. McCorriston refused on Friday to describe QRM's new plan before the meeting, other than saying it "is designed to keep as much of the land in its natural state as possible."